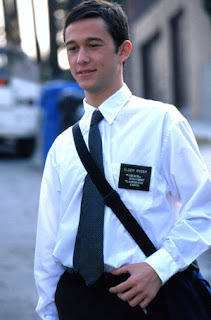 Note: this article was originally written for the site Mormon Movie Guy in 2012. It is written from a Latter-day Saint perspective. Did you know that Chris Nolan's Dark Knight trilogy feature not one, but two Brigham Young University alumni? 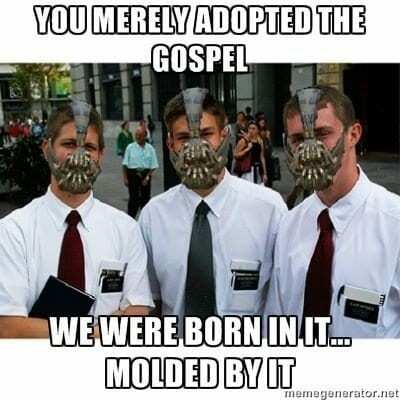 Or that two of its actors starred in separate movies about Latter-day Saint missionaries? While this may not seem very impressive, it becomes noteworthy when one considers that I could come up with only one “Mormon connection” among the combined films of the Star Wars, Lord of the Rings, Spiderman, X-men, and Harry Potter franchises: actor Sean Astin (AKA Samwise Gamgee) co-starred in Forever Strong, which was about a real-life Latter-Day Saint rugby coach and was directed by Saints and Soldiers‘ Ryan Little. 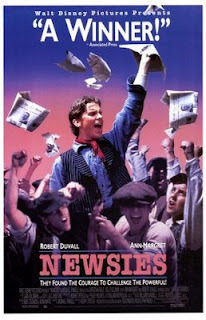 Though Bale's take on the Dark Knight, especially his layered portrayal of Bruce Wayne, has rocketed him to stardom (raspy Bat-voice and all), to many Latter-day Saints he will always be roguish paperboy Jack “Cowboy” Kelly in Disney's 1992 musical Newsies. Though the film was a critical and commercial bomb, it has since become a cult classic in many circles. The Latter-day Saint community took to it immediately, however, embracing it as family-friendly entertainment with catchy tunes. I have it on good authority that the show-stopping dance numbers by strapping young males made this movie a staple of many Beehive and Mia Maid sleepovers. Though Bale now looks upon the film with a kind of fond embarrassment, Mormon culture owes him a debt of gratitude for feeding our insatiable hunger for cheese. In the third film, Matthew Modine plays a role audiences know little about. A little-known fact is that Modine was raised in a Mormon family, spending part of his childhood in Salt Lake City. Though not a baptized member, he briefly attended Brigham Young University before deciding it wasn't for him. As a knock on Mitt Romney, Modine recently tweeted against Latter-Day Saint racism (something I address in my articles “Race in Mormon History” and “Racial Equality in The Book of Mormon“). Apparently he doesn't realize that the Church condemns racism, teaching that all are alike unto God. 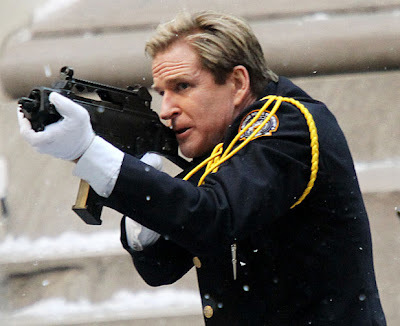 Still, Modine seems like a good guy. Actor Eric Stolz describes him as “a virtuous man- kind, honest, steadfast and true.” Liam Neeson (Batman Begins) says of Modine that “there's something old-worldly about Matthew. He's gracious and warm, and it's very comforting.” It'll be interesting to see what Nolan has in store for him. 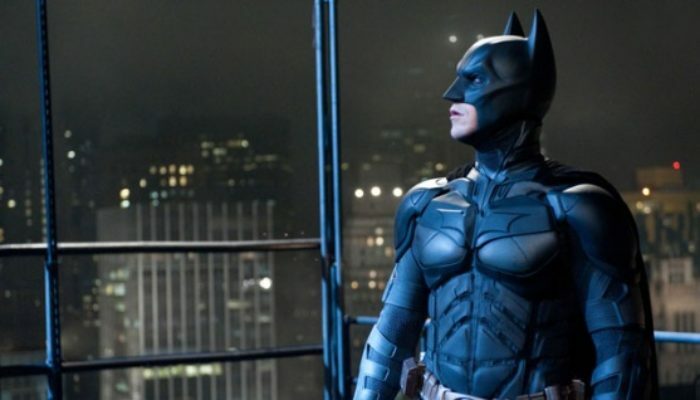 How Joseph Gordon-Levitt's police officer fits into the plot of The Dark Knight Rises is unknown, but judging by the most recent trailer his role is substantial. Before wearing a cop's badge, however, he wore the name-tag of a Mormon missionary in the gay-cinema drama Latter-Days. Gordon-Levitt plays the judgmental companion of a secretly homosexual elder who falls for their neighbor. Though I've not seen this decidedly R-rated approach to our faith, I understand that it doesn't portray Mormons in a kind light. 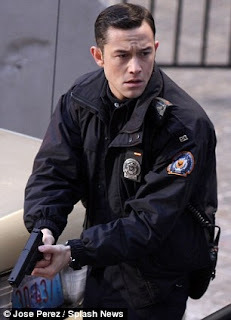 That said, Gordon-Levitt is a terrific actor (I loved his work in Inception) and I'm sure he'll impress us again come July. 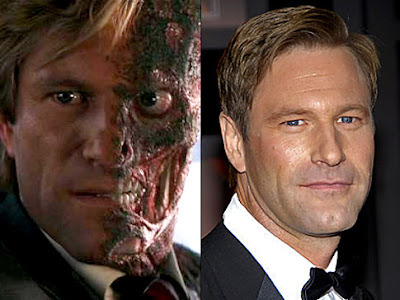 The sad downfall of Harvey Dent, Gotham City's virtuous, “white knight” District Attorney, provided The Dark Knight (2008) with the emotional core of an epic tragedy. Brigham Young University graduate Aaron Eckhart gives a dynamic performance, more than holding his own onscreen with Heath Ledger's Oscar-winning Joker. The fact that Eckhart was raised a member of The Church of Jesus Christ of Latter-Day Saints is well-known. 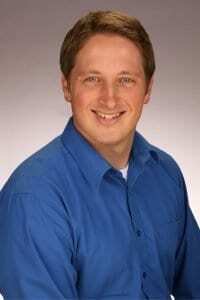 That he served a two-year LDS mission to France and Switzerland is also common knowledge. What many forget is that one of his first acting roles was in a New Testament video produced by the Church, the classic Godly Sorrow. He plays the square-jawed fiance of a young woman who “messed up” with a previous boyfriend (see Eckhart's scenes below or the full video here). Of his religion, Eckhart told Entertainment Weekly “I'm sure people think I'm a Mormon, but I don't know that I'm a Mormon anymore, you know? To be honest, to be perfectly clear, I'd be a hypocrite if I did say that I was, just because I haven't lived that lifestyle for so many years.” That said, Eckhart remains a friend to the faith, often praising the virtues of its people, even though his life has taken a different path. 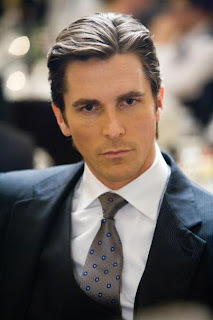 Feel free to let me know if there are any connections between Batman and the Latter-Day Saint faith that I've missed. 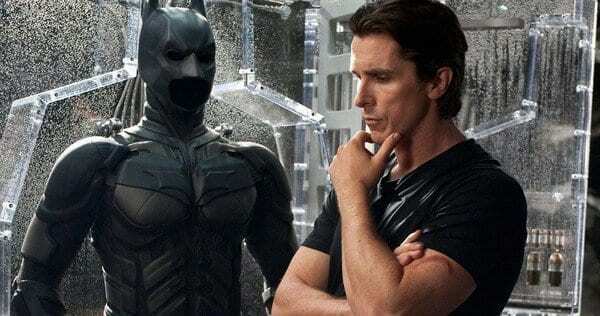 I personally cannot wait for July 20, when our local multiplex is screening all three of Nolan's Batman films on the opening night of The Dark Knight Rises. I wouldn't miss it (and I won't).